The countdown for the start of the new FIM Supersport 300 World Championship season is nearly over. This Friday Kawasaki Provec WorldSSP300 will kickstart their debut WorldSSP300 campaign with an official presentation in Barcelona, one week before Ana Carrasco takes to the track for the first time as the defending champion of the series. 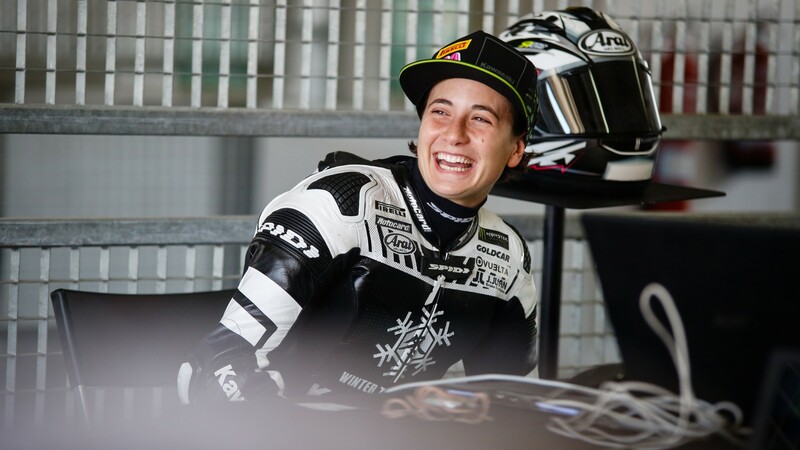 The Spaniard will begin her title defence at home: MotorLand Aragon, host of the first of the nine races that make up the 2019 calendar (which for the first time will end in Qatar), will throw up the first challenges for the 22-year-old. 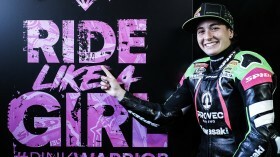 Carrasco spoke with WorldSBK.com in anticipation of this first race in Aragon and shed some light on her preparations for the new season: rivalries, new challenges, and the snazzy #1 on the front of her Kawasaki – a source of both pride and responsibility. “Pre-season testing has gone quite well, I was able to ride a lot”, explains Carrasco, who spent this week on the tarmac of Jerez as a final warm-up for Aragon. Since September, her team has also prepared shakedowns in Almería and MotorLand itself. “We’re preparing much better than in the past. My feelings are good, we’ve been fast in every circuit and improving our pace from last year, so I’d say we’re fairly ready for the first race”. “I’m really excited to get the season going. The off-season has felt too long, so many months without a race. We’ve been working hard since January and there have been a lot of changes, we’re excited to finally get to the first race and see where we stand”. 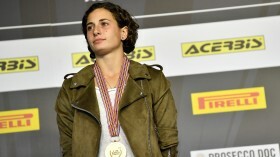 Since that famous title win at Magny-Cours Carrasco has changed teams – although she remains closer than ever to Kawasaki – and has also moved to Barcelona to follow a personalised training regime, an extra step in her preparations. “I hope these changes will be for the better”, the Spaniard explains. “Obviously being in Barcelona and close to the team has helped me to work in a different way, to be closer and up-to-date with everything. I think it will be a positive change and I hope we’ll see that during the season”. Will Carrasco’s approach to the season be any different as the reigning champion? The Spaniard isn’t convinced: “Of course we’re the champions and the goal is to remain on top, but we all start from scratch now. We won last year, that doesn’t mean we’ll win again this year. We need to focus on working well, score in every race and then we’ll see where we are at the end”. With over 50 riders signed up to the championship in 2019, there will be more challengers than ever for the feeder series’ crown. But does Carrasco see any above the rest? “I’d say those who were in the title race last season: Scott Deroue, Mika Pérez… I think [Robert] Schotman will be strong and Marc García [2017 WorldSSP300 champion] will also be competitive now that he’s back. With so many riders on the entry list and so many fast ones on top of that, I think a lot of people will be fighting for wins. What separates those who fight for race wins and those who fight for the title is the mistakes that are – or aren’t – committed. It’s a short championship, you have to try not to fail anywhere. I think there will be 10 to 12 very fast riders, but fewer who will be able to go the full distance”. If the Spanish rider’s prognostic is correct, this season could the tightest yet: “I imagine that the bar will be higher with so many riders, we may get races with 15 to 20 riders fighting for a race win, instead of the 10 to 12 you had last season. That will make races extremely difficult. You can drop out of the points from a winning position near-instantly, and that will make points management a lot harder. Make one mistake and you’ve lost loads of points”. Just one week left for the start of the WorldSSP300 season! After free practice on Friday, April 5th and qualifying the following day, it’s lights out for the first race of 2019 on Sunday 7th, at 15:15 LT (GMT+2). Don’t miss any of the action from MotorLand Aragon thanks to WorldSBK VideoPass!